They say Cebu has the best Lechon so the expectation was really high. 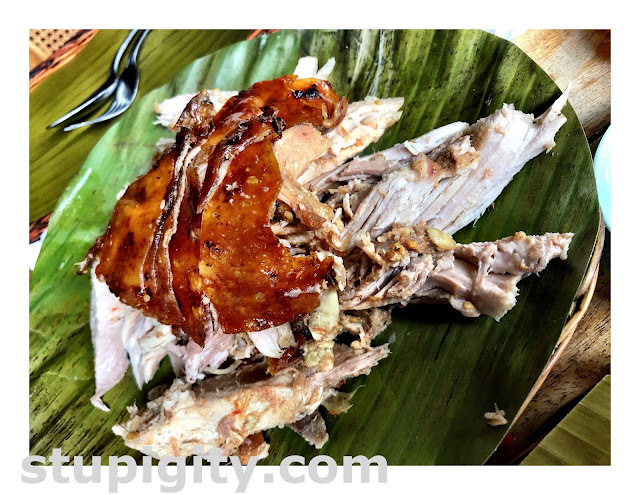 We arrived just before 12pm but there was already long queue of order for the normal lechon that we had no choice but to opt for the spicy lechon. It was super dry. Overheard the waitresses saying it's not newly cooked. Disappointed. I have to commend the staff for being flexible. They agreed to have us order just the vanilla ice cream despite not being in the menu.